Cruise the spectacular coastlines of the British Isles, play some of the world’s most prestigious golf courses, and cheer on the greatest names in the sport during the final round of The 149th Open at Royal St. George’s. 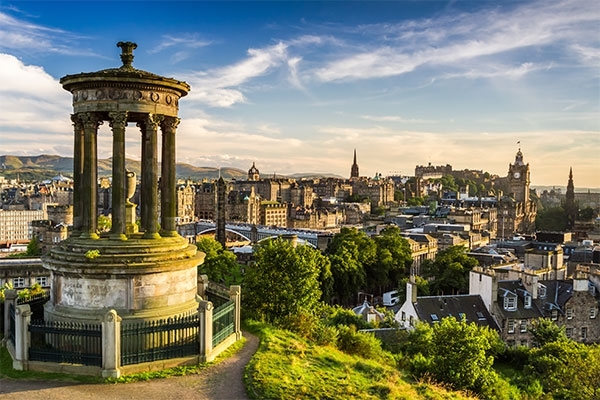 Your British Isles golf cruise aboard Azamara Pursuit begins in Dublin and concludes in Southampton after 14 nights and 10 ports of call—five of which are in Scotland and include late-night stays, so you can take full advantage of your time on and off the greens. 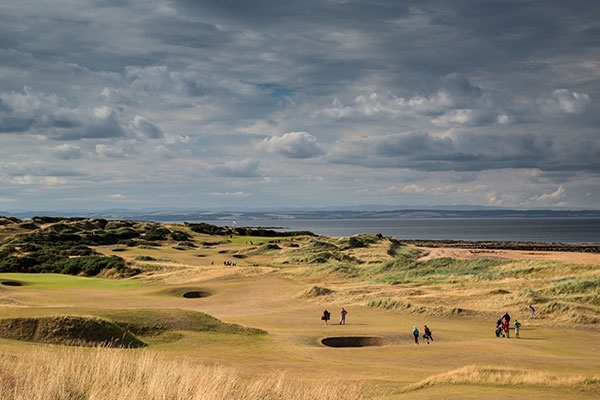 The sightseeing during this journey is astonishing (and you’ll quickly see why golf was born in Scotland). 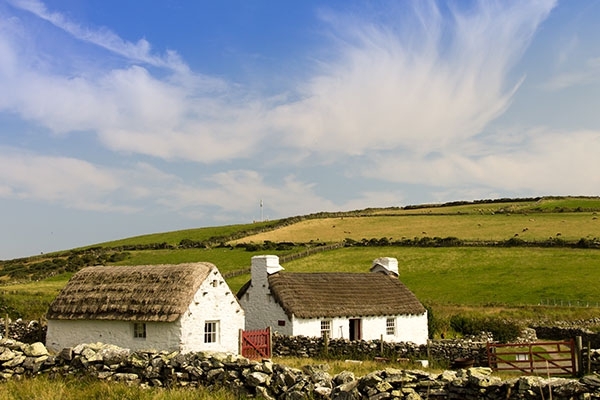 Castles, cliffs, countrysides, and thousands of years of history—from Roman to royal—await as you journey from Ireland to Scotland and England. 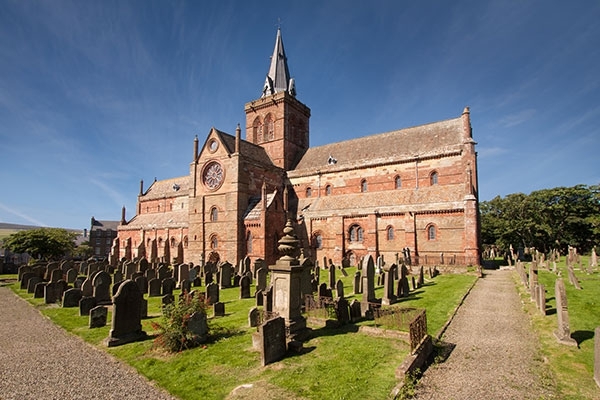 We’ll also have time for a little island hopping, including the charming port of Douglas on the Isle of Man and windswept Kirkwall on the Orkney Islands. You’ll discover golf experiences tailor-made to play the round of your dreams—six rounds, in fact—because this itinerary is like a “greatest hits” of top golf destinations. 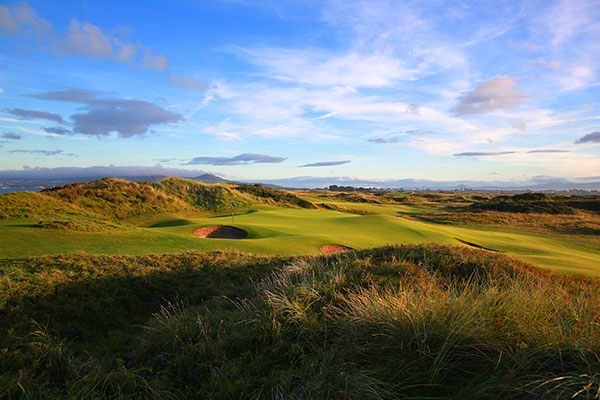 Choose from two flights, each with six clubs ranging from Royal County Down and The Ailsa at Turnberry to Royal Portrush, Portmarnock, Preswick, Royal Dornoch, Carnoustie, and Kingsbarns. Before disembarking in Southampton, we stop in Dover, where you can watch the drama unfold at the final round of The 149th Open at Royal St. George’s. Non golfers choose from a selection of optional shore excursions (additional fee) at each port. 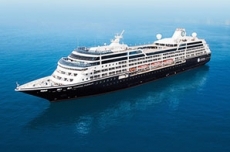 Or choose to explore on your own; we love Azamara for their full days in port; most days have 12 hours or more ashore so you can delve into every destination. 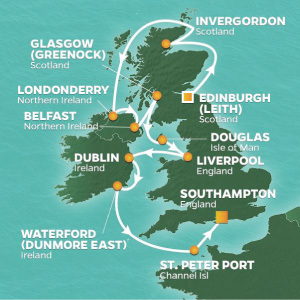 Set sail for the British Isles on this very special cruise! Accommodation based on double occupancy in selected cabin category; private guided excursions for our group as indicated in the itinerary including entrance fees; meals as specified in the itinerary; select standard spirits, international beers, and wines; bottled water, soft drinks, specialty coffees and teas; self-service laundry; shuttle service to and from port communities, where available; gratuities for guided excursions; gratuities for shipboard staff. Golf packages are an additional tour cost, please contact us for details. 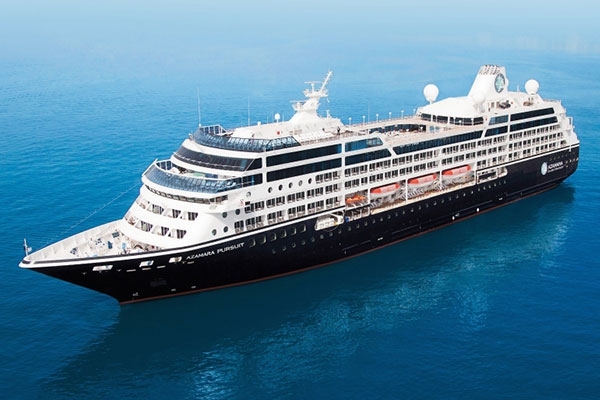 We’re on board the 686-passenger Azamara Pursuit; the smaller ship size lets us dock in ports where other ships can’t, eliminating those long drives for shore excursions. 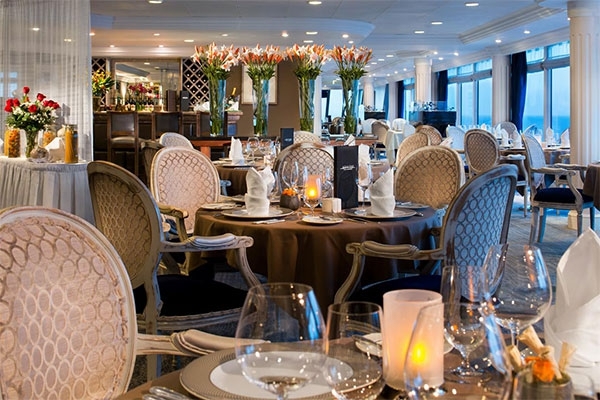 The ship is fresh from major enhancements (2016), presenting stylish staterooms, a blissful spa, and a choice of dining options. Select standard spirits, international beers and a changing selection of red and white wine are all included in the price of your cruise. 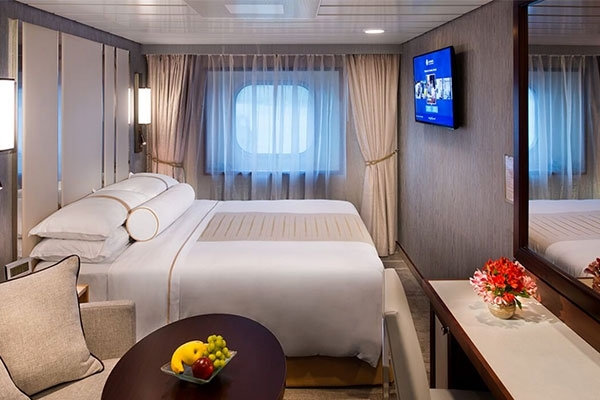 Staterooms feature twin or queen size beds, flat-screen TVs, mini-bar, personal air conditioning, safe, hairdryer, French bath products, bathrobe and slippers. 24-hour room service. "A golfer's trip of a lifetime!"